A collaborative working conference to envision bold evidence-based ideas through which honeybees, wild bees, beekeepers and pollination managers can prosper. Held in Marin County CA, December 2016. Bloom Network is a social network for regenerative culture. Local Bloom chapters produce events in cities across the world to help people and companies share tools and resources that support healthy people, planet, and communities. 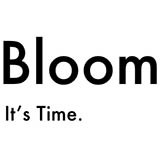 Online, Bloom produces media and live virtual events to support collaboration across movements and sectors toward implementing regenerative solutions. Bloom Network is positioned to address the power distribution imbalance and transform systems related to the economy, energy, health and more. 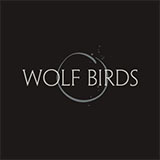 Wolf Bird Productions is co-creating a documentary addressing the industrialization of the Big Bend region of West Texas. Planetwork NGO Inc is a CA 501(c)3. All donations are tax deductible to the full extent allowable by law.